Full-service factory at your service. 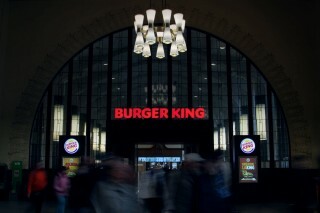 Improve your visibility and boost your image with LED signs. You will collaborate closely with the Imagon team to ensure the best result. 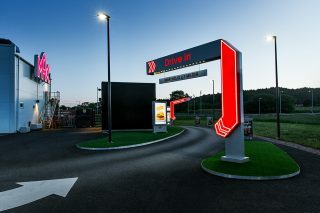 Ecological LED signs for your needs. 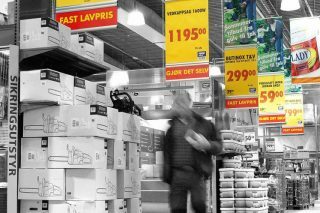 Imagon was the first sign producer in the Nordics to use 100 % LED technology. 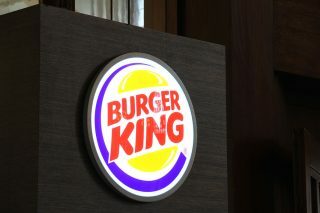 LED signs can be standalone letters, symbols or logos. LED boxes are partly or entirely illuminated sign boxes. LED pylons are freestanding sign pillars with LED signage on one or more sides. 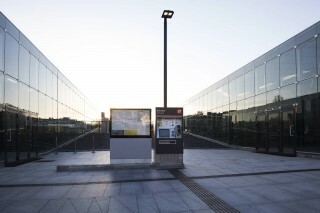 Led guides are sign solutions that guide visitors efficiently in public spaces. By using special metals, wood or illuminated walls, for example, your shop will stand out positively from the mass. 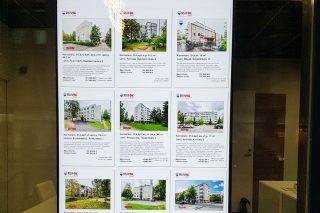 Digital displays works excellently in advertising, informing and guiding. LED signs come in different sizes and forms. Together we create customized LED sign solutions that will be installed even in the most demanding of places. You receive a detailed proposal with information about the product and the installation. You receive a detailed order confirmation. The production team designs and produces your customized LED sign. Your product is packed carefully and transported to your desired destination. The installation team installs your product. You receive photographs of the completed project from your Project Manager. You also get access to our extranet where your project is reported and archived.